Our wedding cake made Great White Snark’s Geeky Cake of the Week! Thanks to Cindy and Jay for submitting the cake to GWS! Hey, Adam, pretty sick cake. (In a good way.) Thanks for all of the great pics. I’m in respectful awe of the geeky heights to which you took your whole wedding. The invitations were killer. 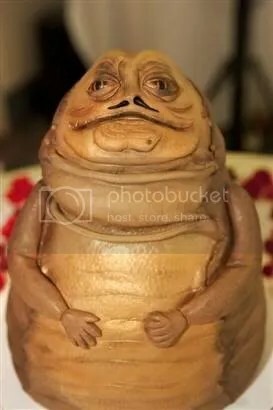 I don’t recall how I stumbled upon this amazing cake. Suffice to say, it’s… it’s… AMAZING! !